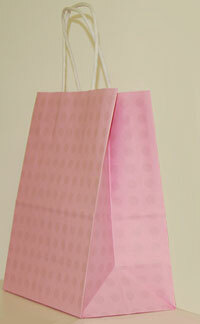 16 x 19 Pink Dots Gift Bag. White twisted paper handle. Actual bag size is 16 inches wide x 6 inches deep x 19.25 inches high.